The following artists were honored tonight at the fourth annual AMERICAN COUNTRY AWARDS (ACA), broadcast live on FOX from the Mandalay Bay Events Center. With six awards, Florida Georgia Line received the most awards during tonight's telecast, while Blake Shelton followed with four awards. Following his three wins tonight, Luke Bryan has won 12 altogether - the most awards for a male solo artist. Carrie Underwood's win tonight in Music Video by a Female Artist, plus her 11 previous awards, make her the female artist with the most ACA honors. Additionally, Brad Paisley received the Video Visionary Award, in recognition of his consistently innovative contributions to the format. Finally, Taylor Swift received the first-ever Worldwide Artist Award, which paid tribute to her global music and touring success. Fans logged on to www.theacas.com to cast votes in support of their favorite country music artists not only in traditional categories, but also in a previously unrecognized area - touring - encompassing the entire spectrum of country music. Blake Shelton, "Based On A True Story..."
Blake Shelton, "Sure Be Cool If You Did"
Miranda Lambert, "Mama's Broken Heart"
Lee Brice, "I Drive Your Truck"
Tim McGraw with Taylor Swift and featuring Keith Urban, "Highway Don't Care"
Â Music Video of the Year: New Artist Florida Georgia Line, "Cruise"
Randy Houser, "How Country Feels"
Mandalay Bay Resort & Casino is a unique destination resort set on 120 lush acres on the Las Vegas Strip. The resort offers three distinct hotel experiences: Mandalay Bay, a AAA Four Diamond award-winning hotel, with 3,211 luxurious rooms and suites reflecting a modern tropical ambiance; Four Seasons Hotel, a AAA Five Diamond hotel-within-a-hotel, offering 424 newly remodeled rooms and suites; and the stand-alone all-suite THEhotel which will be redesigned and rebranded Delano Las Vegas in Q3 2014. Mandalay Bay boasts an 11-acre tropical pool paradise featuring real sand, a wave pool, the only climate-controlled, poolside gaming in the city and the new DAYLIGHT Beach Club. Other property highlights include world-class entertainment at the 12,000-seat Mandalay Bay Events Center, award-winning dining by celebrity chefs and restaurateurs, the new LIGHT Nightclub, Shark Reef Aquarium and the 1.7-million-square-foot Mandalay Bay Convention Center.Â Mandalay Bay's offerings also include BATHHOUSE Spa, House of Blues Concert Hall and restaurant, and The Shoppes at Mandalay Place, a collection of unique boutiques and restaurants. Mandalay Bay recently became home to "Michael Jackson ONE," Cirque du Soleil's latest resident production based on the music and choreography of the King of Pop. Mandalay Bay is a wholly owned subsidiary of MGM Resorts International (NYSE: MGM). For more information and reservations, visit mandalaybay.com or call toll free at 877-632-7800 or find us on Facebook and Twitter. BigChampagne integrates, analyzes and reports information about the sale, broadcast and consumption of popular entertainment media. Our partners and sources for data include retailers, online and traditional (radio and television) broadcasters, major content companies, subscription services, social networks and other venues where entertainment is enjoyed. Great American Country is theÂ leader in country music entertainment, and delivers to viewers theÂ widest variety of country music, its artists and the lifestyles they influence. GACÂ broadcasts originalÂ countryÂ music programming, music performanceÂ specials, live concerts and music videos. GAC is available in more than 60 million households and online at GACTV.com. GAC is owned by Scripps Networks Interactive, the leading developer of lifestyle-oriented content for television and the Internet, including HGTV, DIY Network, Food Network, Cooking Channel and Travel Channel. Scripps Networks is based in Knoxville, TN, with offices in New York, Los Angeles, Chicago, Detroit, Atlanta, Chevy Chase, MD, and Nashville, and is a unit ofÂ Scripps Networks Interactive (NYSE:SNI). Mediabase monitors the airplay of more than 1,800 radio stations, updated continuously 24 hours daily. Mediabase produces historic and current airplay data for U.S. and Canadian radio stations, satellite radio and music television. Formats monitored include Mainstream Top 40, Rhythmic, Mainstream Rock, Active Rock, Modern Rock, Classic Rock, Triple A, Country, Oldies, AC, Hot AC, Urban, Urban AC, Smooth AC, Christian AC, Gospel and Latin. In addition to providing vital airplay information to radio stations in the U.S. and Canada, Mediabase provides information to every major record label and distributor, as well as concert promoters, artists, managers, music publishers, movie studios, video game developers and more. Mediabase charts are published weekly in USA Today, and are used on nearly all radio countdown shows and dozens of websites and magazines. Pollstar is the only trade publication covering the worldwide concert industry. It has been supplying in-depth information to every professional concert promoter, booking agent, artist manager, facility executive and every other entity involved in the live entertainment business for more than 30 years. Pollstar gets its information primarily from the promoters, venues, agents and managers who are producing concerts. It employs more than 25 full-time professionals who do nothing except research and build the company's tour and contact database. The Nashville Songwriters Association International (NSAI) is the world's largest not-for-profit songwriters trade association. Established in 1967, the membership of more than 5,000 active and pro members spans the United States and six other countries. NSAI is dedicated to protecting the rights of and serving aspiring and professional songwriters in all genres of music. AMERICAN COUNTRY AWARDS is executive-produced by Bob Bain (TEEN CHOICE 2013, "Kids' Choice Awards"). Fletcher Foster, Paul Flattery and Tisha Fein serve as producers. Greg Sills is supervising producer. Michael Dempsey directed the live special. 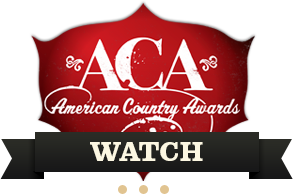 LeAnn Rimes, Justin Moore, Randy Houser and Thomas Rhett are the final acts set to perform at the AMERICAN COUNTRY AWARDS (ACA) airing live from Mandalay Bay in Las Vegas Tuesday, Dec. 10 (8:00-10:00 PM ET live/PT tape-delayed) on FOX. Hosted by Trace Adkins and Danica Patrick, the two-hour live event will also feature appearances by Luke Bryan, Jewel and Dwight Yoakam. Previously announced performers include Brad Paisley, Lady Antebellum, Florida Georgia Line, Jake Owen, Kellie Pickler and Sheryl Crow will sing with Darius Rucker. Previously announced presenters include Trevor Brazile, Shada Brazile, Sara Evans, Billy Gibbons, Cowboy Troy, Big Smo, Dan King, Scotty McCreery, Matthew Morrison, Thompson Square, Chris Young, Carrie Keagan, Olivia Newton-John, Joe Nichols, Lauren Alaina, Clay Walker and Parmalee. The two-hour live music spectacular offers country music fans the opportunity to vote for their favorite artists, not only in traditional categories, but also in a previously unrecognized area - touring - encompassing the entire spectrum of country music. Voting for Artist of the Year continues until this Saturday, Dec. 7 at www.theacas.com. LeAnn RimesÂ has sold more than 40 million albums, won two Grammy® Awards, three Academy of Country Music Awards and 12 Billboard Music Awards.Â She is the youngest recipient of a Grammy Award, and was also the first country recording artist to win in the Best New Artist category. Rimes has placed 42 singles on the Billboard Hot Country Songs chart, 13 of which were Top 10 hits, and has scored numerous hit singles in her career, including "Can't Fight the Moonlight" which went No. 1 in 11 countries, and "How Do I Live," whichÂ is the second-longest-charting song ever on the BillboardÂ Hot 100 chart. Having released more than 10 studio albums, three compilation albums and two greatest hits albums in her illustrious career, her latest album, "Spitfire," debuted at No. 9 on Billboard's Top Country Album chart and No. 4 on iTunes. Rimes co-wrote nine of the album's songs, which also feature guest vocals by Rob Thomas and Allison Krauss (among others). With his most recent album, "Off The Beaten Path," Justin MooreÂ once again has debuted at No. 1 on theÂ BillboardÂ Country Albums Chart and No. 2 on the all-genre chart. The project has produced Moore's fourth No. 1 song, "Point At You." Along with his previous Gold-certified albums -"Justin Moore" and "Outlaws Like Me" - Moore has sold more than five million digital downloads. He recently kicked off his Off The Beaten Path Tour, with special guests Randy Houser and Josh Thompson. He is nominated for two American Country Awards -Â Artist of the Year: Breakthrough Artist andÂ Single of the Year: Breakthrough ArtistÂ ("Til My Last Day). VisitÂ www.moorejustinmusic.comÂ for tour dates and more. Randy Houser topped theÂ BillboardÂ Hot Country Singles chart for two weeks this summer with his most recent single, the RIAA Platinum-certified "Runnin' Outta Moonlight." This was his second No. 1 single of 2013, following "How Country Feels," the title cut from his latest album, which was releasedÂ earlier this year. After earning songwriting credits for Trace Adkins, Justin Moore and Chris Young,Â HouserÂ catapulted onto the scene with his debut album "Anything Goes," which spawned the Top 20 hit "Anything Goes," and the No. 2 smash, "Boots On." Houser co-headlined CMT On Tour '09 with Jamey Johnson, joined Gary Allan on theÂ Get Off On The PainÂ tour and Willie Nelson on theÂ Country Throwdown Tour. He most recently toured with Miranda Lambert and Dierks Bentley on theÂ Locked and ReLoaded Tour, and he will hit the road this fall for theÂ Off The Beaten Path Tour with headliner Justin Moore. For more information, please visitÂ www.randyhouser.com. Thomas Rhett signed his first publishing deal with EMI while still a student at Lipscomb University in Nashville,Â and shortly thereafter, signed a record dealÂ with The Valory Music Co. The 23-year-old singer has scoredÂ two Top 15 hits - the poignantÂ "Beer With Jesus" and debut single "Something To Do With My Hands"Â -Â both of which are on his debut album,Â "It Goes Like This," out now.Â The projectÂ also features Rhett's multi-week No. 1 single,Â "It Goes Like This," which has been certified Platinum. With his first-time No. 1 holding the top spot for three weeks on the Billboard Country Singles Chart, the Valdosta, GA, native ties Miranda Lambert for the record set three years ago. As a gifted songwriter, he has penned Florida Georgia Line's two-week No. 1 "Round Here" andÂ two Jason Aldean cuts, including theÂ Top 15 smashÂ "1994." He recently wrapped his opening slot on Aldean'sÂ Night Train Tour and was a part of the first-ever Country concert at Fenway Park in Boston. For tour dates and more visit:Â www.thomasrhett.com. AMERICAN COUNTRY AWARDS is executive-produced by Bob Bain (TEEN CHOICE 2013, "Kids' Choice Awards"). Fletcher Foster, Paul Flattery and Tisha Fein serve as producers. Greg Sills is supervising producer. AMERICAN COUNTRY AWARD nominees Lady Antebellum, Jake Owen and Kellie Pickler are set to perform at the AMERICAN COUNTRY AWARDS (ACA) airing live from Mandalay Bay in Las Vegas Tuesday, Dec. 10 (8:00-10:00 PM ET live/PT tape-delayed) on FOX. Hosted by Trace Adkins and Danica Patrick, the two-hour event will also feature appearances by Sara Evans, GLEE's Matthew Morrison and ZZ Top's Billy Gibbons. Previously announced performers include Brad Paisley and Florida Georgia Line, and Sheryl Crow will sing with Darius Rucker. Previously announced presenters include Trevor Brazile, Shada Brazile, Cowboy Troy, Big Smo, Dan King, Scotty McCreery, Thompson Square, Chris Young, Carrie Keagan, Olivia Newton-John, Joe Nichols, Lauren Alaina, Clay Walker and Parmalee. Additional performers and presenters to be announced soon. Voting for Artist of the Year continues until Saturday, Dec. 7 at www.theacas.com. The harmony-based trio Lady Antebellum (Lady A) continues to reaffirm the very foundation of their music by focusing on deft songwriting and fresh uses of their talents. Since the band's 2006 inception, Lady A has won the Vocal Group of the Year honor from the CMAs and the ACMs three times in a row and sold more than 11 million albums worldwide. The trio has taken seven trips to No. 1 on the country radio charts, earned five Platinum singles, including their recent "Downtown," and has been awarded seven Grammy Awards, including the all-genre Record of the Year and Song of the Year. Lady A most recently released "Compass" as their new single, off a special edition release of "Golden Deluxe," available in stores now. The trio will kick off their North American headlining Take Me Downtown Tour on January 10. In the end, the mix of their road experiences, songwriting and creative partnership have allowed the magic to remain - because they have kept the focus on the music. Lady A has won a total of seven American Country Awards, making them the most award-winning group at the ACAs. Since releasing the chart-topping album "Barefoot Blue Jean Night," Jake Owen has emerged as one of country music's leading vocalists. The RCA Nashville project deliveredÂ four consecutive No. 1 hit singles, including the multi-week chart-toppers; the double-Platinum title track and Platinum "Alone with You," and Gold-certified hits "The One That Got Away" and "Anywhere with You." Poised to follow the success, Owen's Top 15-and-climbing hit "Days of Gold" marks his fastest-rising single to date. The song is featured on his highly anticipated album "Days of Gold," to be released on Dec. 3. His energetic live show and captivating songs have landed him coveted opening slots with Jason Aldean, Keith Urban, Kenny Chesney, Tim McGraw and his first headlining tour, CMT on Tour Jake Owen: The Summer Never Ends 2012, which made CMT history for the most sold-out shows in a row for the annual nationwide tour. The Vero Beach, FL, nativeÂ first captured the national spotlight with his hits "Startin' with Me," "Don't Think I Can't Love You" and "Eight Second Ride." The 2009 ACM Top New Male Vocalist'sÂ revival of "Life in a Northern Town," with Sugarland and Little Big Town, in 2008 earned him Grammy and CMA Award nominations. Kellie Pickler grew up immersed in country music in the small town of Albemarle, NC, with the words of Tammy Wynette, Patsy Cline, Loretta Lynn and Dolly Parton shaping her musical footing. At the age of 19, she gained fame as a contestant on the fifth season of AMERICAN IDOL. In 2006, she signed with 19 Recordings/BNA Records and released her debut album, "Small Town Girl," which has gone on to sell more than 800,000 copies worldwide and produce three hit singles: "Red High Heels," "I Wonder" and "Things That Never Cross a Man's Mind." She followed that in 2008 with her self-titled sophomore record, featuring country radio hits "Don't You Know You're Beautiful," "Best Days of Your Life" (co-written with Taylor Swift and her first Top 10), and "Didn't You Know How Much I Loved You." Having established herself as not only a powerful vocalist but also a songwriter, Pickler released her third studio album, "100 Proof," in 2012 to huge critical acclaim. The album was named the No. 1 Country Album of The Year byÂ Rolling Stone and was listed on Best of 2012 lists by The Washington Post, Rhapsody, AOL's The Boot and more. In the spring of 2013, Pickler partnered with dance coach Derek Hough and won the Mirror Ball Trophy on "Dancing with the Stars." Earlier this month, PicklerÂ released her new album, "The Woman I Am," on her new record label, Black River Entertainment. The album contains her current hit single, "Little Bit Gypsy." The album also contains her song "Someone Somewhere Tonight." The video of that song (featuring Pickler and Hough) has been nominated for an American Country Award for Music Video of the Year: Female. Pickler is also an avid supporter of the U.S. military, and will soonÂ embark on her seventh USO tour. Paisley, who also will perform his new single, "The Mona Lisa," will receive the award in recognition of his nearly 15 years pairing amazing songs with creative, immensely entertaining music videos that have truly run the gamut, from heartbreaking to hilarious. The Video Visionary Award has only been awarded one additional time, to Toby Keith, in 2010. Hosted by Trace Adkins and Danica Patrick, the two-hour event will also feature appearances by Olivia Newton-John, Big Smo, Cowboy Troy, Dan King, Thompson Square, Trevor Brazile, Shada Brazile, Clay Walker and Parmalee. Previously announced participants include Scotty McCreery, Chris Young, Carrie Keagan, Joe Nichols and Lauren Alaina. Sheryl Crow, Darius Rucker and Florida Georgia Line also are set to perform. Additional performers and presenters to be announced soon. The live music spectacular offers country music fans the opportunity to vote for their favorite artists, not only in traditional categories, but also in a previously unrecognized area - touring - encompassing the entire spectrum of country music. Paisley is a critically acclaimed singer, songwriter, guitarist and entertainer, all of which have earned him three Grammy Awards, 14 Academy of Country Music Awards, 14 Country Music Association Awards, as well as three awards from ASCAP as Country Music Songwriter/Artist of the Year. He is also a proud member of the Grand Ole Opry, having been inducted in 2001. Since his first No. 1 single in 1999, Paisley has placed 22 singles at the top of the charts. His current single is "The Mona Lisa," from his album, "Wheelhouse," which also includes the back-to-back No. 1 hits "Southern Comfort Zone" and "Beat This Summer." "Wheelhouse" is Paisley's first self-produced project, on which he wrote or co-wrote all of the tracks. He is currently finishing his highly successful 2013 Beat This Summer Tour, presented by Cracker Barrel Old Country Store®. Nine-time GRAMMY Award winner Sheryl Crow will sing with two-time GRAMMY Award winner Darius Rucker, plus Platinum recording artists Florida Georgia Line also are set to perform at the AMERICAN COUNTRY AWARDS (ACA) airing live from Mandalay Bay in Las Vegas Tuesday, Dec. 10 (8:00-10:00 PM ET live/PT tape-delayed) on FOX. Hosted by Trace Adkins and Danica Patrick, the two-hour event will also feature appearances by Scotty McCreery, Chris Young, Carrie Keagan, Joe Nichols and Lauren Alaina. Additional performers and presenters to be announced soon. "Feels Like Home" is one of the most focused albums that Sheryl Crow has written. Her debut album on Warner Bros. Records features her current single, "Callin' Me When I'm Lonely," and her Top 20 hit, "Easy." Full of great storytelling that features some of the most powerful and heartfelt vocals of Crow's career, "Feels Like Home" is an album which this proud daughter of Kennett, MO, was born to make. "Feels Like Home" captures the sound of a great and established artist enjoying a kind of fresh start. The album really got started with Crow, Brad Paisley and Chris DuBois - one of Paisley's frequent collaborators - penning one of the albums' standout tracks, "Waterproof Mascara," a stunning song that recalls classics by some of country's greatest female vocalists. Gradually, Crow began working with a series of collaborators that included her longtime guitar player and frequent co-writer, Jeff Trott (with whom she co-wrote such past Crow classics as "If It Makes You Happy," "My Favorite Mistake" and "Every Day Is A Winding Road"), as well as many of Nashville's finest writers, including DuBois, Luke Laird, Natalie Hamby and Chris Stapleton, among others. Crow also credits her co-producer Justin Niebank as a key collaborator on "Feels Like Home." For Crow, making her first album for a Nashville label is an experience she won't forget. "Feels Like Home" was primarily recorded above her barn in Nashville, TN, allowing her daily life to be her primary inspiration. Everything about making the record felt like home for Crow. Florida Georgia Line has skyrocketed since releasing consecutive, multi-week No. 1 smashes in the U.S. and Canada, with the Gold-certified "Round Here," Platinum-certified "Get Your Shine On" and 6X Platinum-certified "Cruise." Breaking the record for the longest No. 1 on Billboard's Hot Country Songs Chart, "Cruise" has sold more than 6.1 million downloads in the U.S. and is the second best-selling country single ever, according to SoundScan. FGL is the only act in history to join Brooks & Dunn in having their first three singles hit No. 1 for multiple weeks each. Also poised to succeed, FGL's new emotionally-fueled Top 15-and-rising single, "Stay," showcases another side of their unique sound and tight harmonies. Amassing international appeal, the duo recently crossed a new career threshold - tallying more than 10 million tracks sold worldwide from their debut album "Here's To The Good Times" (Republic Nashville), which has been certified Platinum in the U.S. and Gold in Canada. On Nov. 25, FGL will release "Here's To The Good Times...This Is How We Roll," a deluxe version of their chart-topping debut, that will feature five new songs, including a collaboration with Luke Bryan; "Cruise" (Remix), featuring Nelly; a documentary on the making of the album; all official music videos with behind-the-scenes footage; and the previously unreleased video for "It'z Just What We Do." "Along with radio, sales and touring success, the talented twosome also has racked up several industry awards and nominations. Comprised of Tyler Hubbard (Monroe, GA) and Brian Kelley (Ormond Beach, FL), FGL is currently on their first headline run, Here's To The Good Times Tour 2013, breaking venue sales records nationwide with sold-out shows on all stops to date. Capitol Nashville recording artist Darius Rucker released his third country album, "True Believers," in May. The album is his third consecutive album to top the Billboard Country albums chart and features the Platinum-certified No. 1 single, "Wagon Wheel." Rucker's first two country albums - "Learn To Live" and "Charleston, SC 1966" - produced five No. 1 singles, including "Come Back Song," "This," "Alright," "It Won't Be Like This For Long" and "Don't Think I Don't Think About It." In 2012, Rucker achieved a personal goal and childhood dream when he was inducted into the Grand Ole Opry. He recently announced dates for his 2014 True Believers Tour. 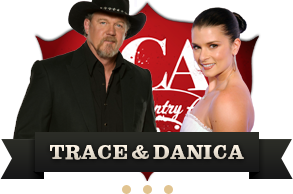 Nominations have been announced for the fourth annual AMERICAN COUNTRY AWARDS, hosted by multi-Platinum® recording artist Trace Adkins and NASCAR superstar Danica Patrick. The special will air live from Mandalay Bay in Las Vegas Tuesday, Dec. 10 (8:00-10:00 PM ET live/PT tape-delayed) on FOX. Taylor Swift leads the AMERICAN COUNTRY AWARDS nominees with eight nominations; Florida Georgia Line and Blake Shelton each earned seven nominations. Starting today, fans can vote once each day for their favorite AMERICAN COUNTRY AWARDS nominees at www.theacas.com. Voting is open until Tuesday, Nov. 12 at 11:59 PM PT for all categories, except for Artist of the Year, which closes on Saturday, Dec. 7 at 11:59 PM PT. The nominees for each award category have been determined by four media measurement companies: BigChampagne (record sales and media consumption); Great American Country (video airplay); Mediabase (radio airplay); Pollstar...The Concert Hotwire (touring data); and Nashville Songwriters Association International (song). The two-hour live music spectacular gives fans the opportunity to vote for their favorite artists in categories such as artists, albums, singles, videos, songwriting and touring, encompassing the entire spectrum of country music and bestowing honors that no other awards show has. The AMERICAN COUNTRY AWARDS will feature performances and appearances by the year's chart-topping country artists. Performers and presenters will be announced soon. Mandalay Bay Resort & Casino is a unique destination resort set on 120 lush acres on the Las Vegas Strip. The resort offers three distinct hotel experiences: Mandalay Bay, a AAA Four Diamond award-winning hotel, with 3,211 luxurious rooms and suites reflecting a modern tropical ambiance; Four Seasons Hotel, a AAA Five Diamond hotel-within-a-hotel, offering 424 newly remodeled rooms and suites; and the stand-alone all-suite THEhotel which will be redesigned and rebranded Delano Las Vegas in Q3 2014. Mandalay Bay boasts an 11-acre tropical pool paradise featuring real sand, a wave pool, the only climate-controlled, poolside gaming in the city and the new DAYLIGHT Beach Club. Other property highlights include world-class entertainment at the 12,000-seat Mandalay Bay Events Center, award-winning dining by celebrity chefs and restaurateurs, the new LIGHT Nightclub, Shark Reef Aquarium and the 1.7-million-square-foot Mandalay Bay Convention Center. Mandalay Bay's offerings also include BATHHOUSE Spa, House of Blues Concert Hall and restaurant, and The Shoppes at Mandalay Place, a collection of unique boutiques and restaurants. Mandalay Bay recently became home to "Michael Jackson ONE," Cirque du Soleil's latest resident production based on the music and choreography of the King of Pop. Mandalay Bay is a wholly owned subsidiary of MGM Resorts International (NYSE: MGM). For more information and reservations, visit mandalaybay.com or call toll free at (877) 632-7800 or find us on Facebook and Twitter. Great American Country is the leader in country music entertainment, and delivers to viewers the widest variety of country music, its artists and the lifestyles they influence. GAC broadcasts original country music programming, music performance specials, live concerts and music videos. GAC is available in more than 60 million households and online at www.GACTV.com. GAC is owned by Scripps Networks Interactive, the leading developer of lifestyle-oriented content for television and the Internet, including HGTV, DIY Network, Food Network, Cooking Channel and Travel Channel. Scripps Networks is based in Knoxville, TN, with offices in New York, Los Angeles, Chicago, Detroit, Atlanta, Chevy Chase, MD, and Nashville, and is a unit of Scripps Networks Interactive (NYSE:SNI). About Mediabase Mediabase monitors the airplay of more than 1,800 radio stations, updated continuously 24 hours daily. Mediabase produces historic and current airplay data for U.S. and Canadian radio stations, satellite radio and music television. Formats monitored include Mainstream Top 40, Rhythmic, Mainstream Rock, Active Rock, Modern Rock, Classic Rock, Triple A, Country, Oldies, AC, Hot AC, Urban, Urban AC, Smooth AC, Christian AC, Gospel and Latin. In addition to providing vital airplay information to radio stations in the U.S. and Canada, Mediabase provides information to every major record label and distributor, as well as concert promoters, artists, managers, music publishers, movie studios, video game developers and more. Mediabase charts are published weekly in USA Today, and are used on nearly all radio countdown shows and dozens of websites and magazines. "I'm so excited to host the AMERICAN COUNTRY AWARDS with Trace Adkins," Patrick said. "I have no doubt he'll be able to keep up with me. I've become a huge fan of country music since I came to NASCAR and have been fortunate to be in videos with Miranda Lambert and Colt Ford. This is going to be a really cool experience and I'm excited to be a part of it. It's going to be a great show!" In addition to his hosting duties, Adkins will be joined by legendary drummer Kenny Aronoff and other guests for a special performance of "Carol of the Drum" (otherwise known as "Little Drummer Boy"). The song is featured on Adkins' recently announced Celtic-infused Christmas album, "The King's Gift." With his trademark baritone and wry sense of humor, Trace Adkins is one of country music's most accomplished entertainers. With total sales surpassing 10 million albums, a long list of hit singles and platinum albums, he is also a television personality, actor and author. A Grammy Award nominee and member of the Grand Ole Opry, Adkins will release his Christmas album of Celtic-infused carols, "The King's Gift," on October 29, 2013, then embark on The Christmas Show Tour, a theatrical musical production for the whole family, in theaters this holiday season. This will be Adkins' fourth time hosting the AMERICAN COUNTRY AWARDS. Danica Patrick burst onto the scene in May 2005, when she stunned the world by leading 19 laps and finishing fourth in her first Indianapolis 500 - becoming the first woman to lead laps and score a Top-Five finish in the historic race. Three years later, in April 2008, Patrick became the first woman to win a major-league, open-wheel race in a North American series with her victory in the IZOD IndyCar Series Indy Japan 300 at the Twin Ring Motegi oval in Japan. In February 2013, Patrick, driver of the No. 10 GoDaddy Chevrolet SS for Stewart-Haas Racing, once again made headlines around the world with her record-setting performance in the 55th Daytona 500 NASCAR Sprint Cup Series race at Florida's Daytona International Speedway. She became the first woman to win a Sprint Cup pole when she set the fastest time in qualifying for the Daytona 500 and then finished in eighth place, the highest finishing position ever for a woman in the "Great American Race.